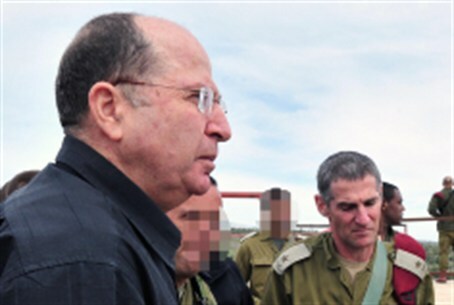 "It is not new that many countries in the world refer to Judea and Samaria as occupied territory and that they operate accordingly," said Yaalon. "We have our policy and we will continue to act in accordance with it, and with our interests," added the Minister of Defense. "The EU decided over the last 24 hours to cut funding and economic ties with all Israeli entities outside the [pre-]67 lines. This is a racist decision. When the world sees that there are cracks in Israeli society around our sense of belonging to parts of our homeland, it immediately attacks. “In 1975, the General Assembly of United Nations decided that Zionism is racism. Chaim Herzog, then UN ambassador of Israel, spoke of the right of Jewish people to statehood and tore apart the decision in front of the representatives of all the world. When Israel is confident, the world understands that!" “This shows the extent to which the Europeans are detached from this region,” MK Ayelet Shaked (Bayit Yehudi) told IDF Radio. “Why would [PA chief Mahmoud Abbas] enter negotiations if the Europeans are doing his work for him” by pressuring Israel, she asked rhetorically. The European Union has issued orders forbidding its member states from cooperating, transferring funds, giving scholarships or research grants to bodies in Judea and Samaria, eastern Jerusalem , and even the Golan Heights, Haaretz wrote Tuesday. The new instruction, promulgated by the European Commission, which is the operative arm of the EU, sets parameters for cooperation between the EU and its members states, on the one hand, and Israeli governmental and private elements on the other. The instructions are for the years 2014 – 2020 and will go into force on Friday, July 18. The decision also states that any future agreement signed with Israel must include a section that says the “settlements” are not part of sovereign Israel and therefore not included in the agreement.